Marriage is a serious partnership. Once you are married, everything you do has to be in step with your partner. It’s no longer my money. It’s our money. It’s no longer my vacation. It’s our vacation. Our time off. Our apartment. Our car. Our TV. Our kitchen. St. Paul, a lifelong bachelor, found that his choice of lifestyle had a lot going for it. “I would like you to be free from concern. An unmarried man is concerned about the Lord’s affairs—how he can please the Lord” (1 Corinthians 7:32). Did you notice the second advantage to singleness that Paul mentions? As a single person, you can volunteer much more time to serving the Lord than a spouse or parent can. You can make more unilateral decisions, travel more, and take more risks. Some of the greatest missionaries and most dedicated educators in Christian history chose the single life so that they could serve the Lord more effectively. They had great lives too. We can trust God and take responsibility for our choices and actions at the same time. 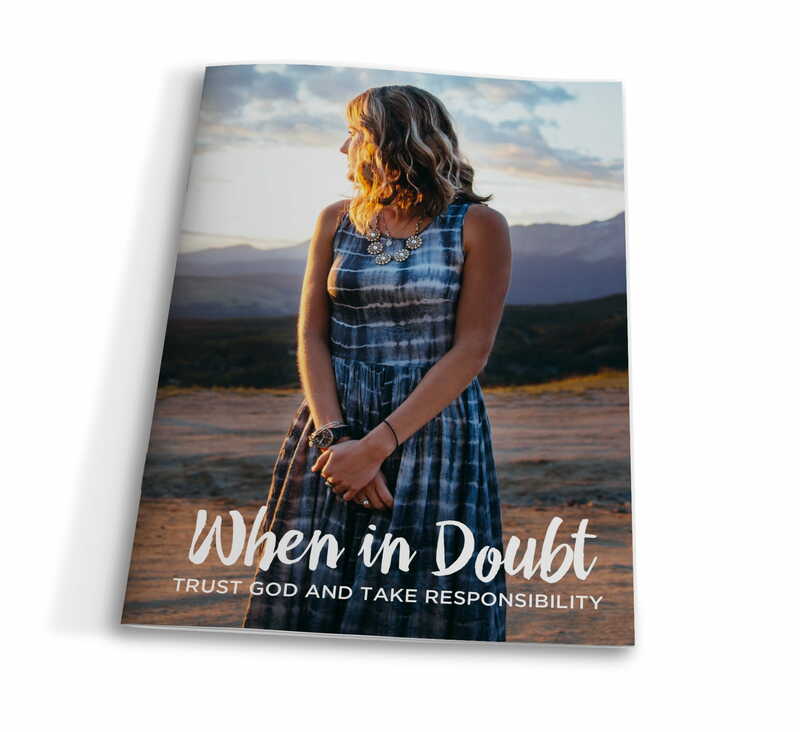 In this book, the author encourages you to think deeply about what it means to trust God and at the same time use the gifts and blessings that he has given you to act according to his will. When in Doubtis our thank-you for your support to help share the timeless truths of God’s Word with more people through Time of Grace. Request your copy today!